The Cyclo PRO Pinnacle Kit is a complete swirl remover kit! 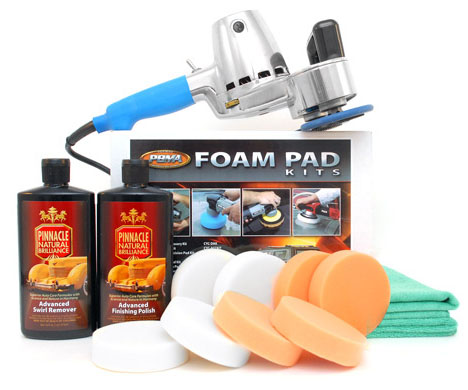 The Cyclo PRO Pinnacle Kit takes advantage of the variable speed performance of the Cyclo 5-Pro Polisher and the paint-restoring power of Pinnacle Advanced Swirl Remover and Finishing Polish. This combination of products levels swirls and restores a high gloss to all paint finishes. A total retail value of $468.97. Save $43.97!